Cover pot and put on medium heat and cook for 2 hours. (make sure water does not boil over.) Put lid on askew to avoid overflow!! Seriously, could this be ANY EASIER???????? After cooking numerous meals over the holiday’s it occurred to me that the kitchen sponge was getting quite gnarly….so i thought “hmmm….how long does one keep a kitchen sponge around before tossing it”?? ?… and you will see what i learned below!!!! 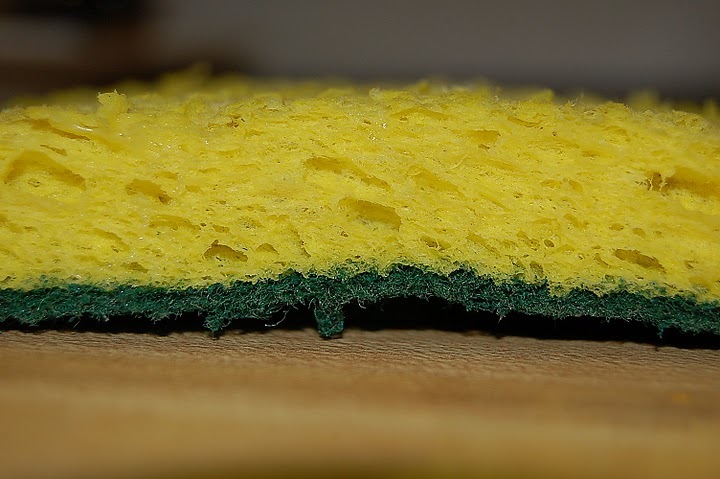 Your kitchen sponge probably has more bacteria than anything else in the house. It’s worse than the toilet. Bacteria thrive in moist environments. Let your sponge dry out between uses. Don’t leave the sponge sitting in the bottom of the sink. Squeeze it and let it dry. Replace it every week or two. It’s also recommended that you wet a sponge and then microwave it for two minutes every two days. The high heat kills bacteria on it. You can also put it in the dishwasher but that’s not quite as good. Dishrags are another have for germs. Let them dry between uses and wash them frequently. Even better: use paper towels or disposable wipes. So, there you have it…just a little tidbit from Chef-Boy-R-D2!!!! “GHEE” also known as clarified butter, is a product which is used primarily in India. 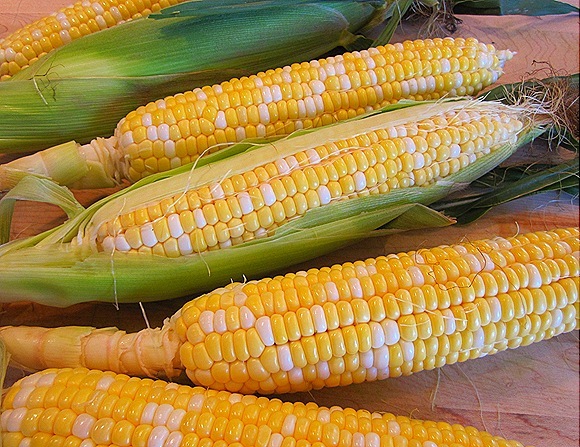 It has become a product of increasing interest to people in the United States because it is said to be a healthy alternative to butter. GHEE offers the same basic taste as butter but some of the fat has been removed from the butter which is why many people believe that it’s a better product and should be used as a butter substitute. Better for people with cholesterol problems. It is said that GHEE is lower in fat than butter which means that it’s a better choice for people who have problems with high cholesterol. Doesn’t burn easily. If you’re the kind of person who burns everything that you cook then you have probably burned butter in the past. You are not likely to have that problem with ghee. Easier to digest. Because there is less fat in GHEE, it is easier for most people to digest than butter is. Longer shelf life. GHEE can be stored for a long period of time, longer than butter can, and it doesn’t need to be refrigerated when it is stored. This makes it more convenient than butter and better in some people’s eyes. Mental health. People who believe in the healing powers of GHEE say that it can restore balance to the mind and enhance brain function. Skin improvements. Many people swear by the fact that GHEE helps to promote a healthy glow to the skin from the inside out. That may or may not be true but there certainly isn’t anyone who will tell you that butter does that! Tastes better. This is obviously a personal preference but many people say that they like the taste of GHEE better than the taste of butter because it’s a lighter taste. So, tonight I prepared my “Chicken Piccata” a different way and it was a hit! 2TBS GHEE butter or you can use regular butter when you are not at BOOT CAMP!!!! 6 oz chicken broth (organic) remember…i’m at nutritional boot camp!! now add chix pieces back to pan, stir mushrooms and broth over chix and then add capers, cover and put on low-med heat for about 5-7 mins. Pasta is drained, then take and put on plate…put 3 pieces of chix, cover with mushroom, capers and broth sauce and a “spear” of broccoli and voila…ready to serve!!! NOTE: No rolling of chicken in flour, infact no flour was even used!! !…so the sauce is more “brothy” and healthier for you and the GHEE cooks better than butter and the taste is better!!! So, my first meal cooking with different products than what I am used too….tomorrow it is off to the health store to get my first jar of GHEE and more vegies…and let’s see what Omega 3 fats I can use!!! It will probably be a fish of some sort!! !